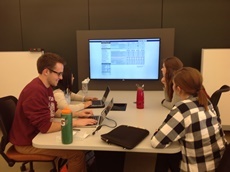 Findings based on the Assessment in Action program (AiA) of the Association of College and Research Libraries (ACRL) show that libraries have a huge impact on student learning and success. Several examples from this report are below. 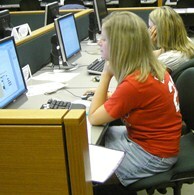 We encourage you to contact the Research & Instruction librarians and inquire how we can incorporate the library into your courses through a one-shot library instruction session, Research Assistance Program (RAP) sessions for your students, or by embedding us as an instructor in your Blackboard classes. "Students benefit from library instruction in their initial coursework" by providing the student "a common set of competencies for their undergraduate studies." "Several AiA studies point to increased academic success when students use the library." "Academic library partnerships with other campus units, such as the writing center, academic success center, and speech lab, yield positive benefits for students (e.g. higher grades, academic confidence, retention.)" Library instruction "contributes to inquiry-based and problem-solving learning, including effective identification and use of information, critical thinking, ethical reasoning, and civic engagement." "One-on-one or small group reference and research assistance** with a librarian enhances academic success, as documented by such factors as student confidence, GPAs, and improved achievement on course assignments. 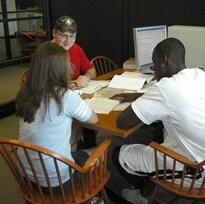 There was also promising evidence that a)"the library contributes to improved student retention", b)"library instruction adds value to a student's long-term academic experience", and c)"the library promotes academic rapport and student engagement," and d)"the use of library space relates positively to student learning and success".